Fancy perking up your winter training program? 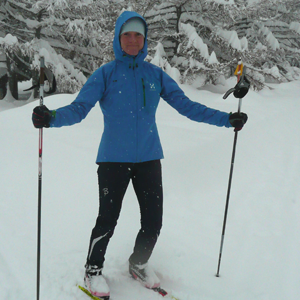 We may have found you just the ticket, as Chamonix ski instructor Tania Noakes shares her passion for cross country skiing and explains just why it makes the perfect winter workout. It’s just past dawn on a December day and sunlight has started to bring the snow-locked valley to life. My skis glide smoothly beneath me, criss-crossing the freshly groomed track in smooth, steady strokes. I’m not thinking about skiing, simply enjoying the sensation of flowing across the terrain. Relaxing my breathing into a rhythm which makes all this effort feel…almost effortless. I pause for a moment on the hill-crest, acutely aware of my heartbeat and how quickly my breath vanishes into the cold, clear air. The stillness and beauty of this winter wonderland is frozen before me for a fragile, glittering moment in time. It catches my breath and I can’t hold back the smile that warms me from the inside. I fell in love with cross-country skiing about 15 years ago and it has remained a constant thread in my life ever since. 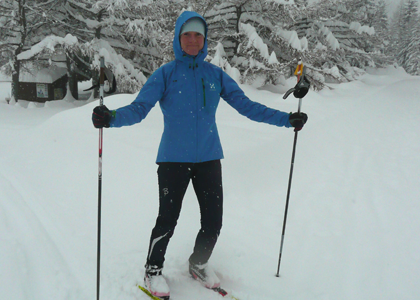 I have raced at National level in both cross country skiing and biathlon, but now I focus my time on coaching, helping other skiers get more from this amazing winter sport. 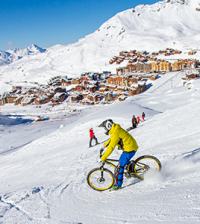 I still enjoy racing, but do so recreationally at local events and in the ever more popular ski marathons which are held throughout the Alps each winter. I work as professional ski instructor from December onwards and run a mix of coaching clinics, race training camps and private instruction based from Chamonix in the Western Alps. 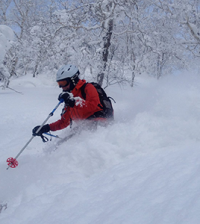 From mid-February onwards I tend to do more off-piste guiding and ski-touring either on my Alpine or Nordic touring skis through my work as a professional Mountain Guide.